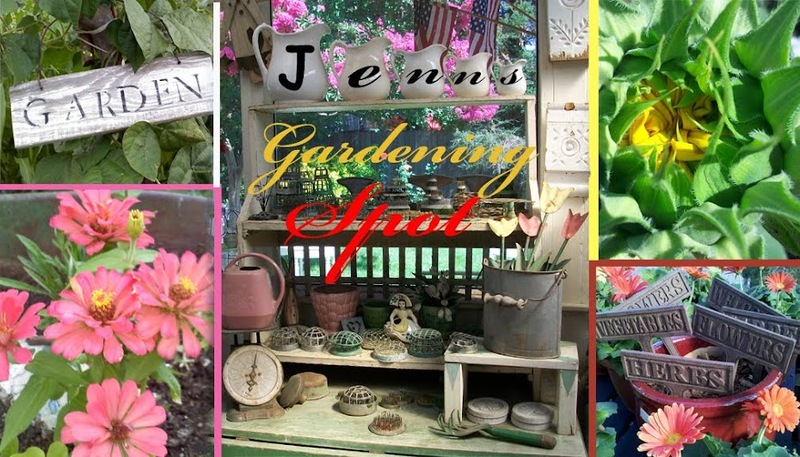 Jenn's Gardening Spot: October is the end for the Nasturtium Grow project! 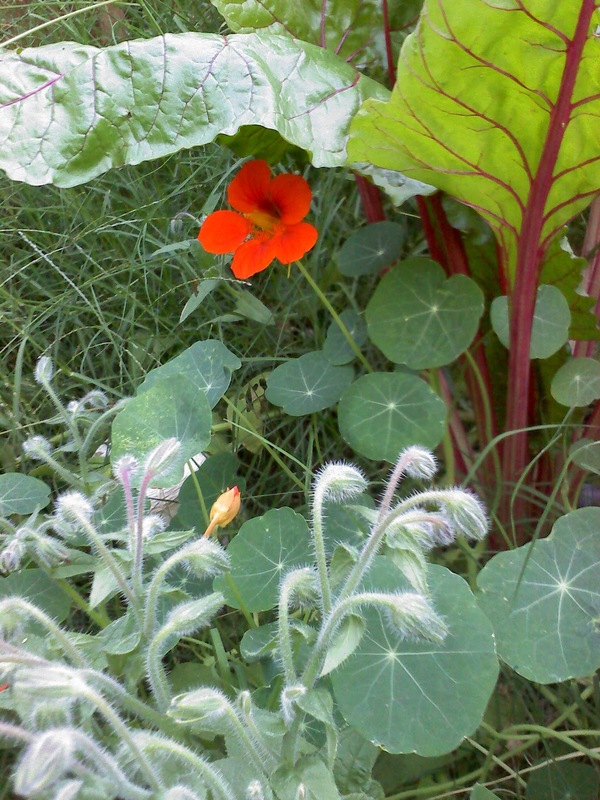 October is the end for the Nasturtium Grow project! It has been a great summer of growing! I have really had a great time growing the "Spitfire Nasturtiums" from Renee's Garden seed. Its been great fun reading all the blogs of everyone who participated in the Seed Grow project. My "Spitfires" are still going strong! At this point I am just letting them grow wild and go wherever they want. They are able to take over what is left of my summer garden. 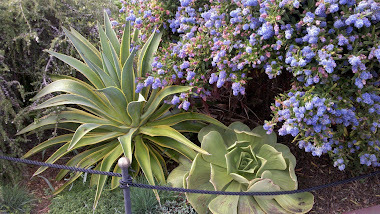 You will find them in the Swiss Chard and Borage. 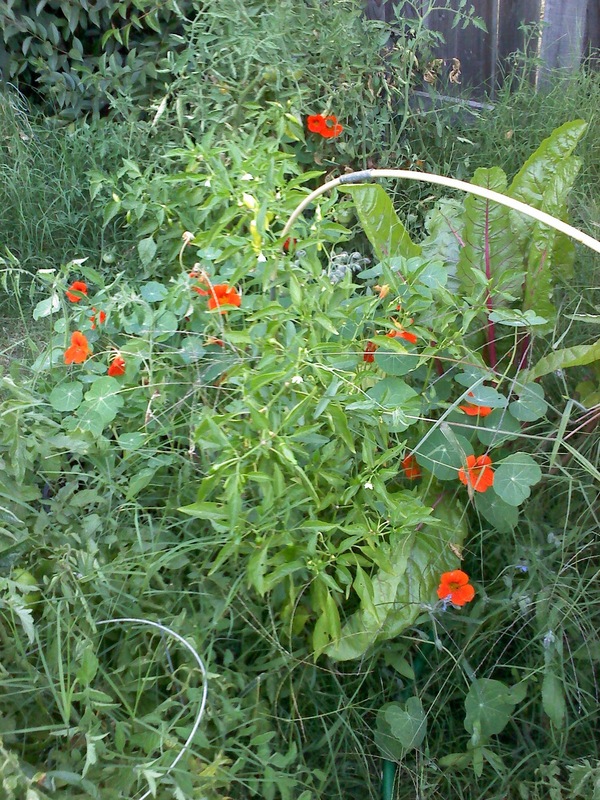 They are also invading the Peppers and Tomato's that are still going strong in my garden. This is the ladder I was training them to climb. 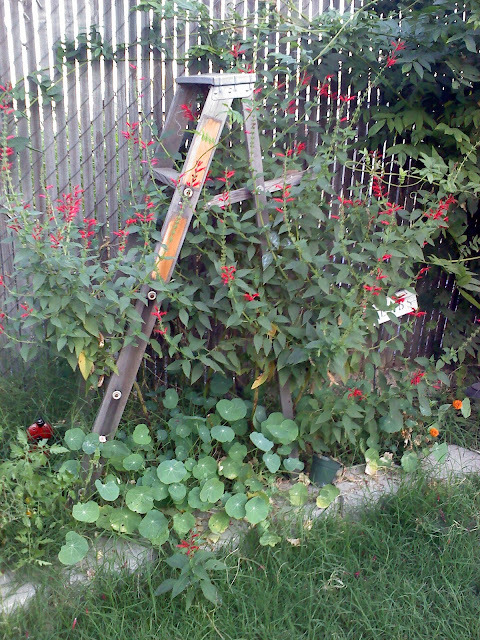 As you can see my Pineapple Sage wasn't sharing the spotlight with the "Spitfires" Please excuse my un-mowed grass. This here is my last post for the seedGROW project! I have had a blast participating. 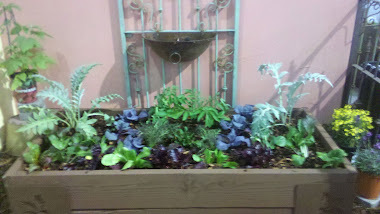 I am excited to plant these again next year with some of the seeds I have saved from my Nasturtiums! "I am growing Nasturtium "Spitfire" for the GROW Thanks to Reenes Garden for the seeds"
Hi! 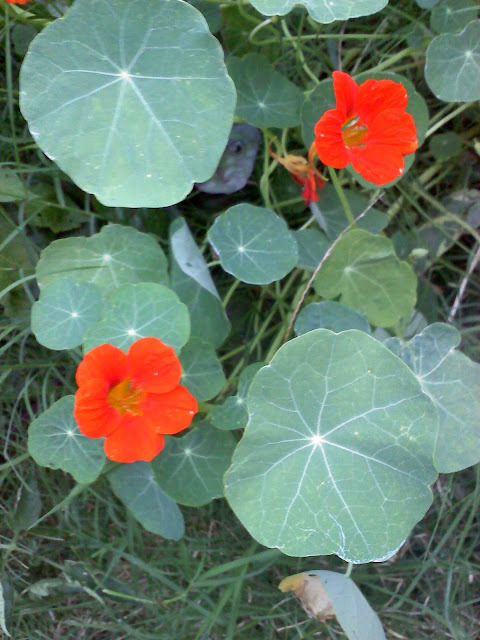 Lovely Nasturtiums. I have yet to grow them. The weather has been very hot and dry lately. Will wait for the rainy season to start. Good to see your posts.